IMPORTANT NOTE: Rolling back versions may have unexpected results. Before taking this action, be sure you understand the the risks of it. Sometimes, after upgrading your plugin to a new version, things may not work as you expected. 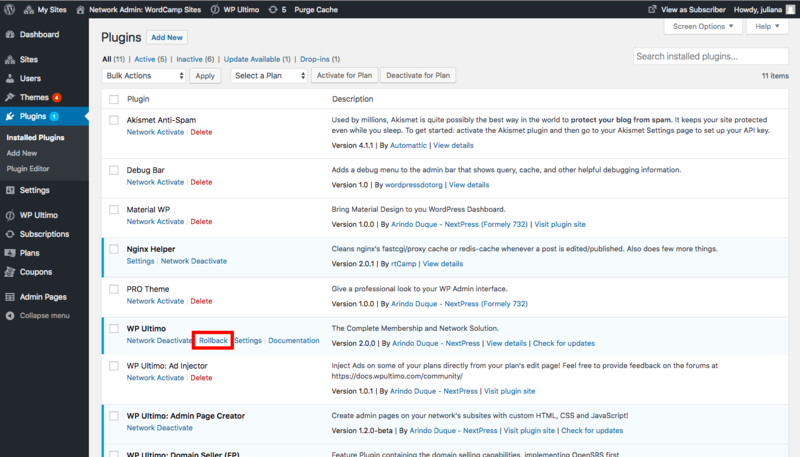 Go to your Plugins page and look for WP Ultimo. 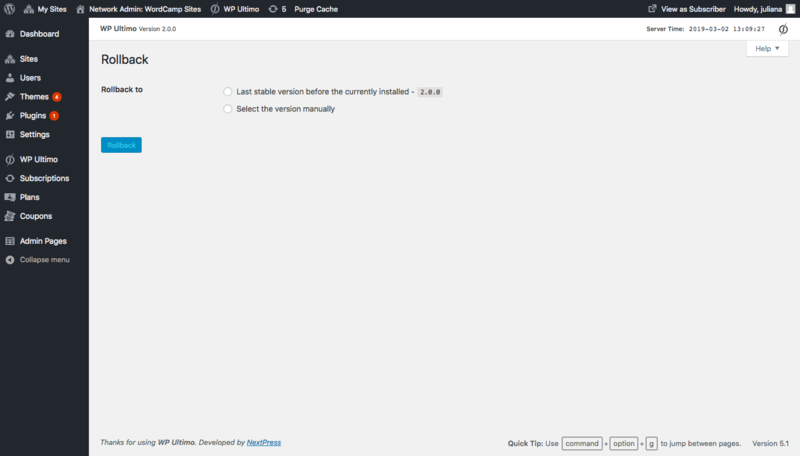 Right below the plugin’s name, you now have the option Rollback. Clicking this option will redirect you to our Rollback page. There, you will find the options to rollback to the last stable version before the currently installed or to select a version manually. 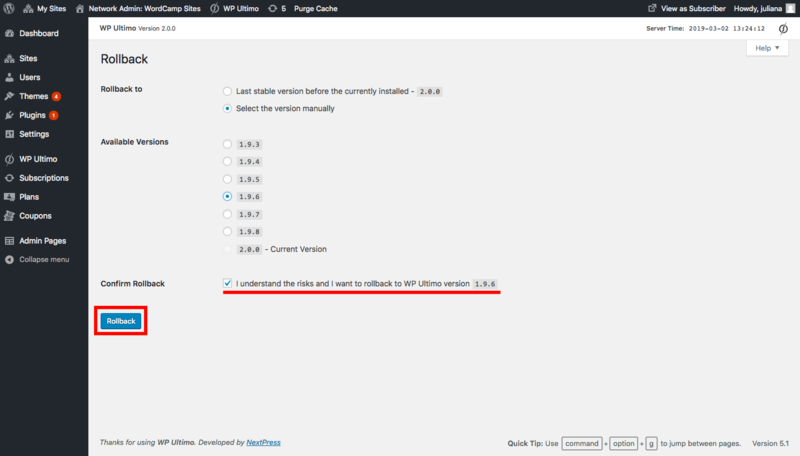 If you choose the first option (/Last stable version before the currently installed/), WP Ultimo will automatically downgrade your version to the last stable one available. Choosing the second option (Select the version manually) will open a list of available versions for you to pick from. After that, your version will be downgraded and you will be able to continue developing your network!